You&apos;ll love 1777 Pinecove Dr., it&apos;s a spotless home with lots of original character throughout. This 5 bedroom & 1 3/4 bath home with a 2 car garage will give you over 1,500 sq. ft. to move about in. The kitchen is light, bright, & spacious with an abundance of storage. There&apos;s an indoor laundry room located next to the kitchen. You&apos;ll appreciate the yard - it was designed for easy maintenance & decreased water usage. 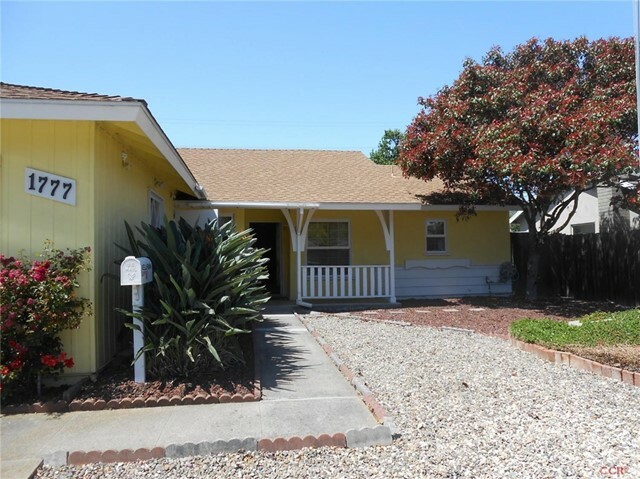 1777 Pinecove Dr. is located within minutes of shopping, transportation & downtown San Luis Obispo.